Services – Circle CRM Group Inc.
We understand that assessing your archaeology and/or heritage service needs can be challenging. We work closely with you to understand your project and ensure that the right plan is created and executed. We are happy to come to your offices and give a presentation on Historic Resources for you and your team. These presentations usually occur over lunch and last about 1 hour. If you’re unsure of the services your project requires, please don’t hesitate to email or call us. Better yet, book a lunch ‘n learn session with us! We provide heritage and GIS services in British Columbia and Alberta. We also service Saskatchewan, Manitoba, the Yukon and Northwest Territories. An AOA is used to determine archaeological potential within project areas. It is a desktop assessment utilizing GIS, and incorporates a number of different tools and variables, including the BC Remote Access to Archaeological Data (RAAD), topographic data, and environmental data. The AOA will result in recommendations for either No Further Work, or for an Archaeological Impact Assessment (AIA). When a project is deemed to have moderate to high potential for intact archaeological resources, a field assessment will determine the presence and/or extent of any cultural material that exists within project boundaries. If such resources are deemed to be of high historic resource significance and are under threat of impact, avoidance or further work will be recommended. If avoidance is not practical, the developer can opt for site alteration through Section 12 of the Heritage Conservation Act. Heritage investigations involve controlled excavations that detail and record past occupations. Depending on the extent of the recovered material, they can result in further mitigative work. Mitigation becomes necessary when cultural resources are under threat of impact. If we deem a project to be of limited potential for the presence of, or impact to, intact historic resources, we submit a Historic Resources application recommending Historical Resources Act approval. The SOJ is a desktop assessment that is required for large-scale and/or complex developments such as Class I pipelines, infrastructure projects, Area Structure Plans, etc., but is often utilized to assess the potential for significant historic resources. The SOJ follows strict guidelines outlined by Alberta Culture and Tourism, and results in either recommendations for Historical Resources Act approval or an Historic Resources Impact Assessment (HRIA). When a project is deemed to have high potential for intact historic resources, a field assessment determines the presence and/or extent of any cultural material that exists within development boundaries. If such resources are deemed to be of high historic resource significance and are under threat of impact, avoidance or further work will be recommended. If avoidance is not practical, the developer can opt for Circle CRM Group to conduct a Historic Resources Impact Mitigation (HRIM). Upon the approval of recommendations for further work, mitigation becomes necessary due to cultural resources being under threat of impact. 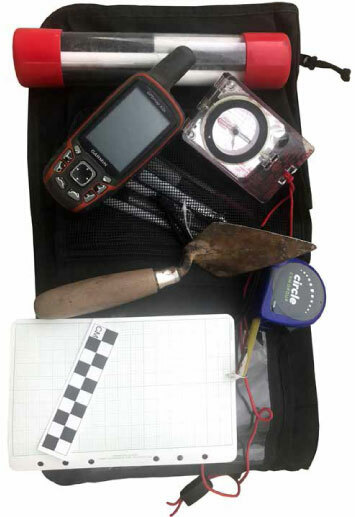 Mitigative investigations involve controlled excavations that detail and record past occupations. Depending on the extent of the recovered material, they can result in further mitigative work. On rare occasions, construction monitoring can be used to assess potential impact to known historic resources that could not be assessed with the above methodologies. If monitoring is not practical, a post-impact assessment can determine the extent of remaining cultural material after construction is complete. These methods are not favourable, as construction activity has the potential to completely destroy historical resource sites. Circle has extensive experience and knowledge in GIS, allowing for efficient desktop assessments of project areas in relation to topographic, hydrological, environmental, and cultural data, among others. Predictive modelling can also help target areas of high potential for historic resources, making time spent in the field more efficient.